A few of you will probably draw the link between the title and the term ‘blood diamonds’ and realize what this article is going to be about. You guessed right. However, there may be some unfamiliar with the term. By the end of this article, you too will know what it refers to. Ivory, unfortunately, has many practical uses. Earlier it was used for air-tight containers, but with the advent of plastic, this use has seen a decline. Nowadays, ivory is made into objects of religious significance, or ornamental, the majority being ornamental. It is, to our eternal embarrassment as human beings, seen as a symbol of status and prestige. 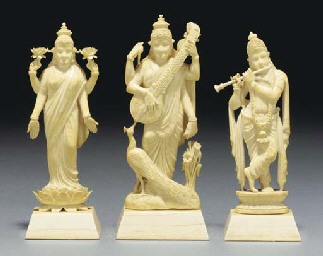 Ornate ivory carvings decorate many a house; it was even used to make piano keys as it was a ‘premium’ material. Even opium pipe stems were made from ivory. And let’s not forget the abundance of images and statues of deities that have been carved from ivory too. And for every deity carved, one elephant at least was killed. 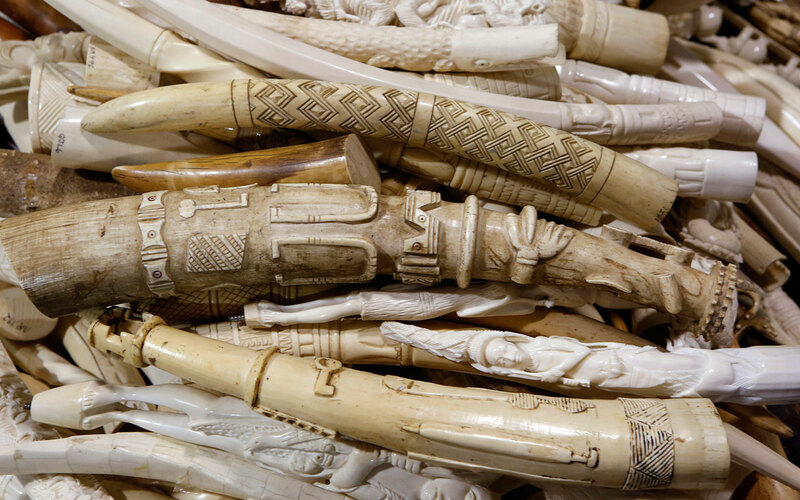 Every ornamental piece of ivory that decorates a house was the death of another. Every piano with ivory keys, every nameplate made from ivory, every single implement, object and vessel, all of them came from an elephant that struggled desperately to keep breathing! 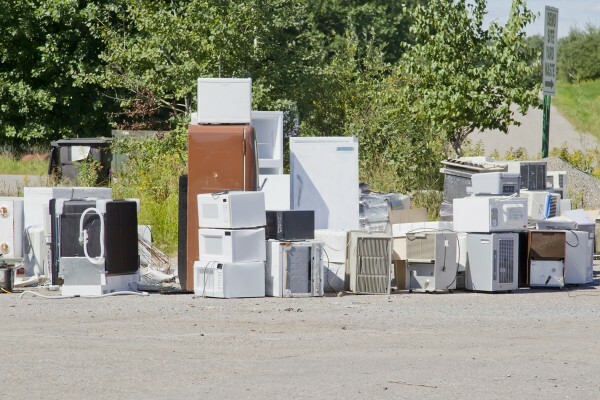 Its eyes would never see again just so that we could have a useless object that would sit in a corner and gather dust. So that a silly bout of pride could jump in us every time we uncovered some pointless item, and give us another flimsy excuse to strut about like a peacock with its nose in the air. 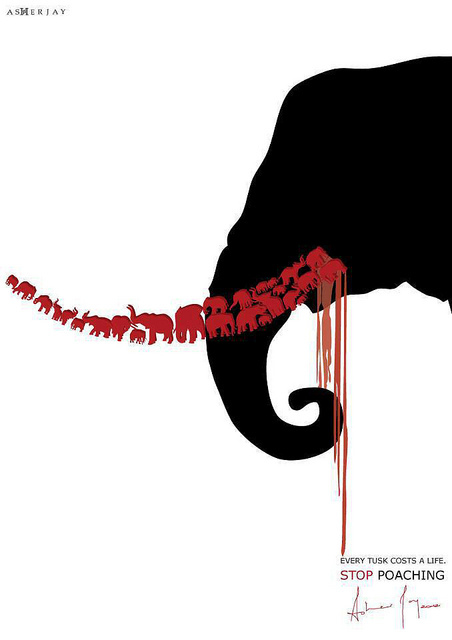 Because the tusks cannot be extracted when the elephant is alive. No, it has to be dead. Just the part of the tusks seen outside isn’t enough. It isn’t economical. The entire tusk has to be pulled out from its roots! And even if we found a way to let the elephant keep its life, what of its dignity?! What about its defense? The tusk is essential for a male elephant — without it he will not be able to survive in the wild, or survive an encounter with another elephant. Ever asked yourself whether you would you like your teeth yanked from your mouth to decorate someone’s wall? Doesn’t strike you as a pleasant idea? Does it makes you squeamish? Because the cruelty doesn’t end there. Did you know that a simple bullet fired from a gun won’t kill an elephant? 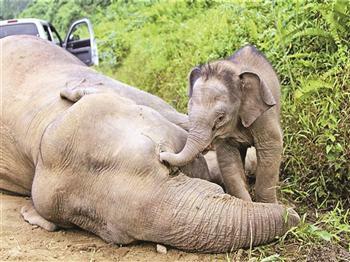 It takes a trained and precise shot through the ear for the elephant to die relatively painlessly. That is the only point where the bullet can penetrate into the brain and kill the giant without pain. A novice shot, even to the head, won’t kill it. Its skin is much tougher than ours, its skull thicker. A bullet in the head will give it only unbearable agony. It may shatter its skull and leave it in pieces, but the bullet won’t reach the brain. The elephant will continue to live through that shot, and may try to escape, blinded by pain and panic. Which makes the next shot even harder, and will most likely leave only another hole, and more agony. The poor beast, overcome by a pain it cannot escape, will finally collapse, but not die. Not yet. The poacher or hunter may think he can empty another bullet down its throat and kill it. It won’t. Only more pain. And a death sentence. Because eventually the pain and wounds will get the better of the giant, but it is slow. So unbearably slow! It’ll continue gasping for breath with a ruined mouth, but still it won’t die. Not for a while. Maybe not even if the hunter fires another one into his mouth. More than the wounds, it is the pain that will kill the giant. A death near as horrible as a crucifixion! There are some topics I really wish I didn’t have to write about – I wish they didn’t exist. Our cruelty to elephants is top of that list. This is what we do. 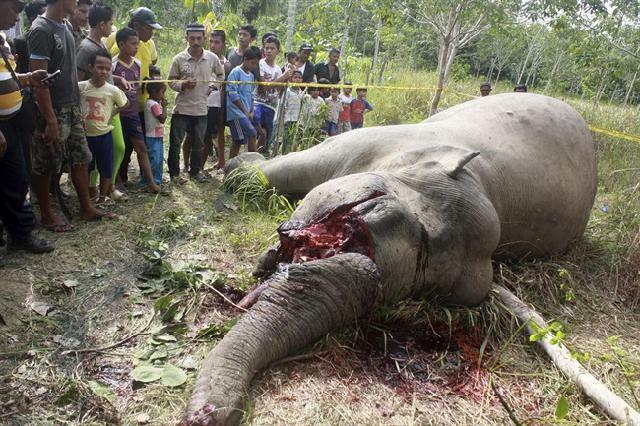 This is what an elephant looks like after he has been killed for his tusks. Shame on us! Don’t go hoping that the poachers are expert marksmen. It takes a level of training that most gun-wielding fools will never obtain. It requires expert military training. Don’t go blaming the poachers either. They may be scum, or just desperate to provide for their family. They will simply respond to the demand for ivory, so that is where we need to address the issue. And address it we must. The statistics that are present are both shocking and disturbing. The North African and Syrian elephant has already been reduced to extinction. 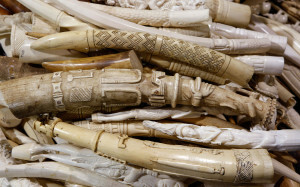 Great Britain’s consumption of ivory in 1831 resulted in the deaths of nearly 4000 elephants. In 1930, to acquire 40 tons of ivory, 700 elephants were killed, and in 1980, due to the mass production of ‘hankos’ (name seals) in Japan, the African elephant population saw a drastic fall from 1.3 million to a mere 600,000. Elephants are now close to extinction in many countries such as China, Laos, Cambodia, Indonesia, and a few others. We have had a few successes though. In 2006, 19 African countries signed the Accra Declaration, calling for a complete ban of ivory trade. In 2007, Ebay banned all international sales of elephant-ivory products after coming under pressure from the International Fund for Animal Welfare. They later expanded the ban to not allow any sale of ivory altogether. What we must realize is that since we are killing male tuskers, this creates more than a serious issue given the numbers above, because it has pushed the male-to-female ratio to a dangerously low point. It is not enough to simply implement laws and sign pieces of paper; the demand for ivory has to stop altogether. I urge you to also look up the documentary of ‘Echo the Elephant’. Pictures convey far more than words, more than this article can ever convey, so please, do give it a look. Only once you can empathise with these beings will they have some hope. So do your bit. Press your government to enact these laws, report instances of poaching or ivory trade, shun all such products altogether, and discourage those around you from purchasing it either. When you find an ivory product adorning a showcase, don’t gush over its beauty. Unequivocally express your disgust at finding it in the house of an educated individual. It may lose you a friend, but save an entire species. Don’t hesitate to tell them that it’s not ivory that sits on their shelves. It is Blood Ivory.